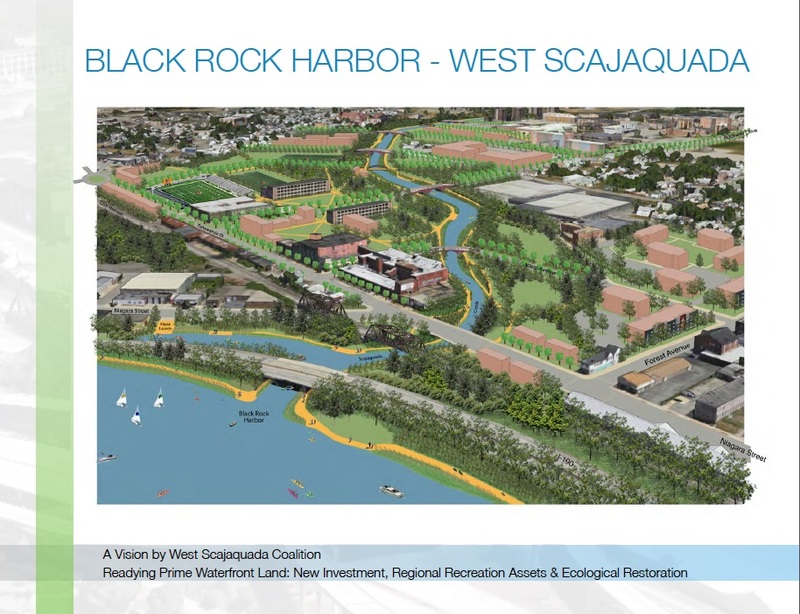 Positioned along Scajaquada Creek from Buffalo State College to the Niagara River, Black Rock Harbor and West Scajaquada represent a key element in Buffalo’s continued revitalization. The result is a vision for hundreds of thousands of square feet of new and redevelopment, four miles of restored shoreline and waterfront trails providing a green link from the Olmsted Parks to the river and a trail connecting art, history and innovation, room for an expanded, enhanced and accessible Buffalo State College, a major new athletic and recreation complex and more. 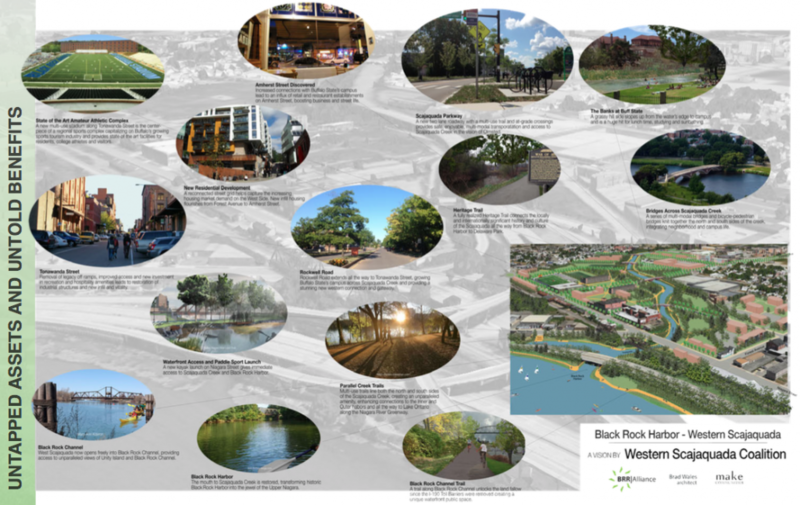 The document has given the community a tool to help communicate their vision with the public, individuals, institutions, agencies and public officials. The Vision replicates a proven model of local waterfront development and builds on momentum along Niagara Street. This vision creates 850,000 feet of new private sector development and building rehabilitation, totaling nearly $150 million in investment. The Vision fulfills the promise of the Niagara River Greenway by linking the Olmsted Parks System to the riverfront. 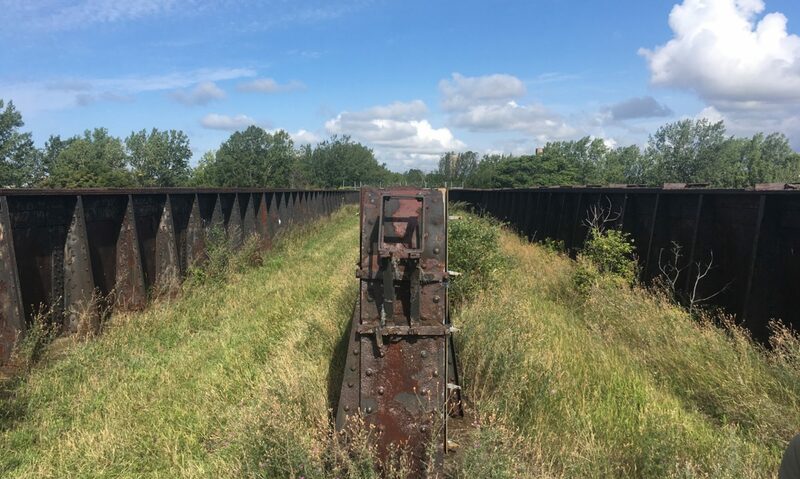 Integrates with the museum district and supports development of nationally important War of 1812 battlefield sites and waterfront innovation trail. New sports-focused facilities build on Buffalo’s burgeoning tourism and amateur recreation infrastructure assets. The Vision helps make the Queen City the Green City by restoring prime habitat, increasing eco-tourism and mitigating legacy pollution. Complements ongoing efforts to enhance the Niagara River Corridor as an Internationally Important Bird Area. 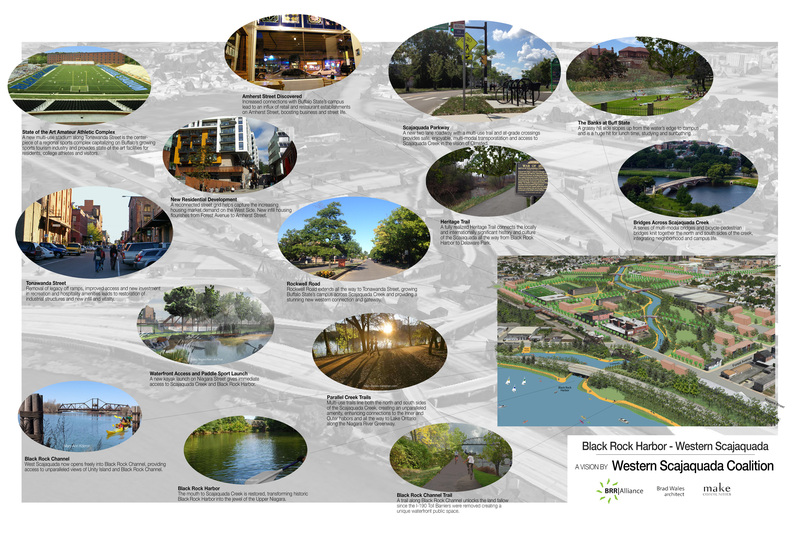 To learn more about the Vision for Black Rock Harbor – Western Scajaquada, download the full vision plan and visit the Black Rock Riverside Alliance website.